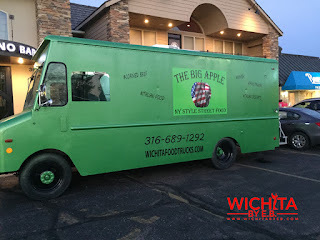 Food Truck: The Big Apple – NY Style Street Food Review – Wichita By E.B. 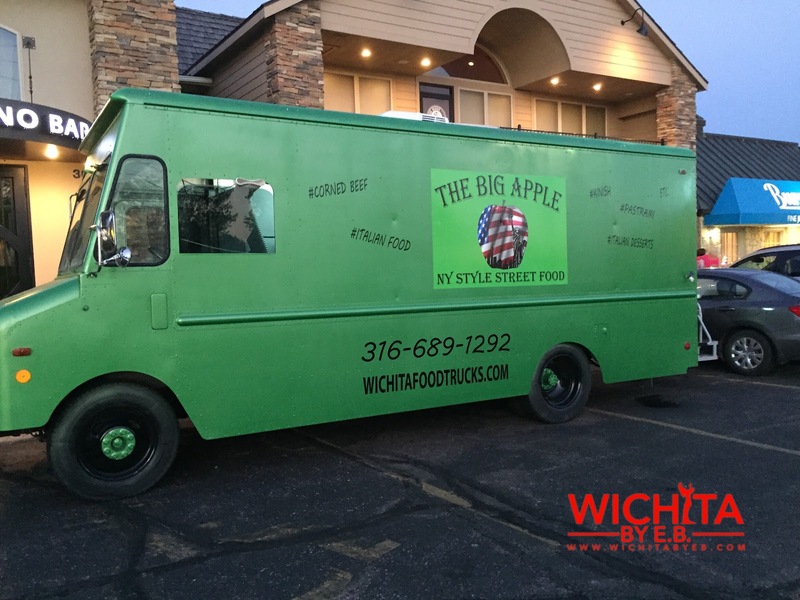 The 19th stop on our Wichita Food Truck tour brings us to The Big Apple…… not the one you’re thinking of. The blog’s working budget didn’t allow us to travel to New York so instead we found a food truck in town that specializes in New York-style specialties like chicken Parmesan sandwiches, corned beef sandwiches, New York coneys, lasagna, knishes, Reubens, among other items. 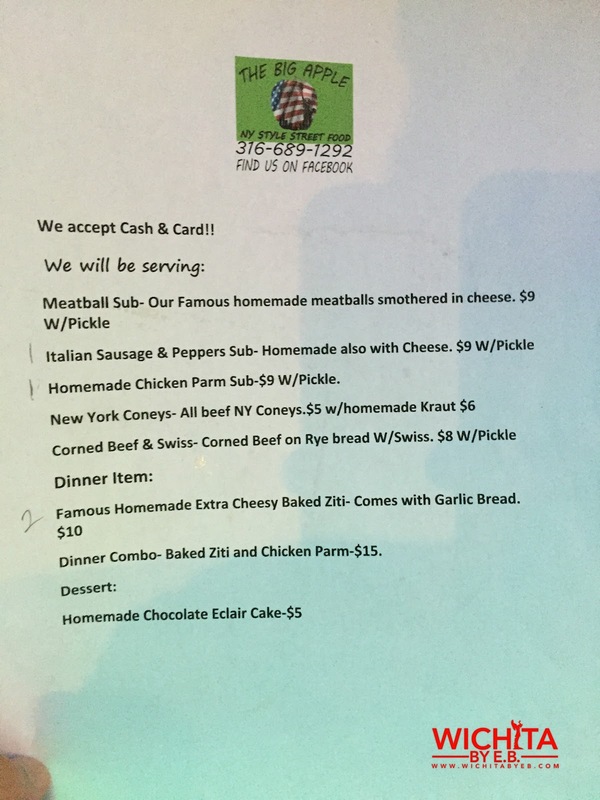 They are called The Big Apple – NY Style Street Food Truck. Make sure to like them on Facebook. 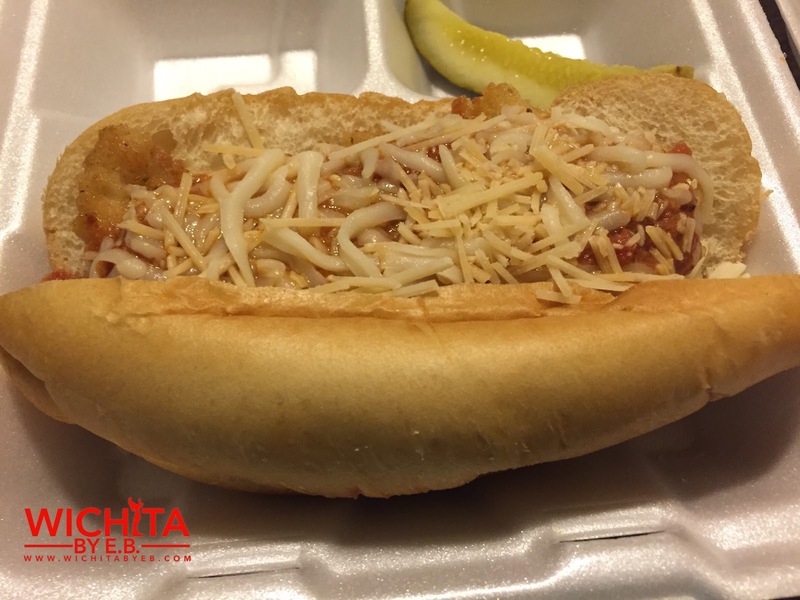 After looking through all the delicious options available, we decided on the Corned Beef sandwich and Homemade Chicken Parm sub. 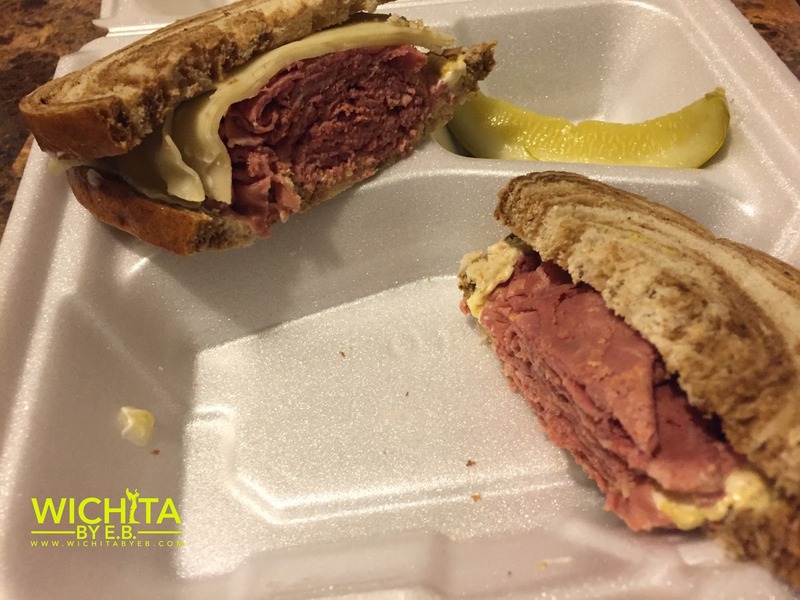 When I traveled to New York to watch the Shockers win the NIT, corned beef was one of the highlights of my eating adventures. It took around 12 minutes to get my order and we were off to the race tracks. ….once again not literally no thanks in part to the slot vote that was struck down years ago. For starters, both sandwiches had plenty of protein inside. Both sandwiches were sure to fill you up. My friend really liked the Chicken Parmesan. Her main drawback was the actual bread. Her preference isn’t much on the harder bulky rolls. While it definitely kept the sandwich together and prevented the sandwich from getting soggy, she prefers the lighter softer rolls when it comes to her sub. Regardless of the bread, the actual chicken, parmesan cheese and especially the sauce covering it all were tasty. As for the corned beef sandwich, the actual corned beef was really good and flavorful topped with some delicious Dijon mustard. Does it compare to the popular staples in New York like Carnegie Deli and Katz’s Delicatessen, both of which I’ve had? 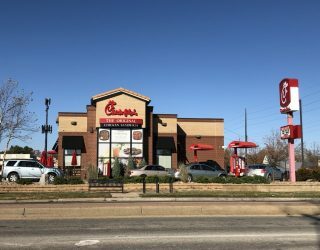 Hard telling and I’m sure most people may say no but for options in our city of Wichita, KS I left very happy and impressed with the sandwich. 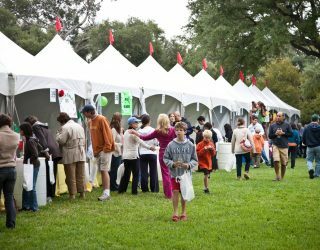 The Big Apple is one of the food trucks I really want to return to. They have other items like lasagna and knishes that I definitely want to try. From everybody I’ve spoke with, they were big fans of The Big Apple and I can see why. If you’ve gone, feel free to post your thoughts. Delicious biscuit sandwich with cheese and fried egg!!! I could have easily eaten 3, it was that good. Their oatmeal with berries and almonds was also good. Really cute and inviting set up too. Highly recommended for breakfast. Bonus – outdoor seating at Breakfastnearmenow.com !